Would I be treading on hallowed ground, insulting a time-honored tradition embraced by icons, Anton Rubinstein and Sergei Leschetizky? 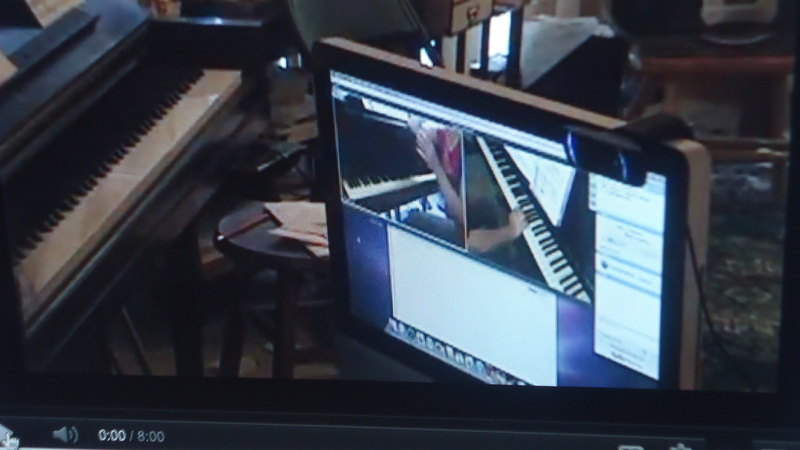 What would my late teacher, Lillian Freundlich say if she knew that I had dared to tweak my Logitech 1080 HD cam on video, YOU TUBING my set-up for a Skype lesson to London, England? Two full-blown keyboards co-existed in harmony, separated by thousands of miles with a breathtaking landscape to consider in the MILLENNIUM. POWHOW took an even greater leap forward with a host of keyboards in the works, marked off in boxes, clicked for a close-up at any moment. Students might see one another, or remain anonymous if they chose. “IT’S A SMALL WORLD AFTER ALL” blared in my ears! 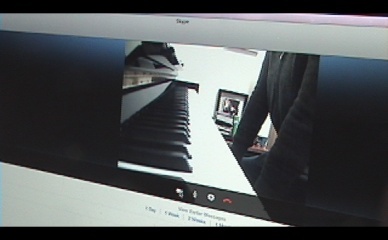 With a simple mouse click, I could open a full screen view of myself, or promptly revert back to the keyboard angle. A myriad of mind-boggling options! Rachel Simpson, an able POWHOW team member had walked me through a mosaic of boxes, clicks, sub-clicks, etc., in rapid pace. A newbie, I felt inundated with dizzying directions! With my Sony mini cam poised at the right angle on its tripod, I snatched a portion of the POWHOW POWER TOOLS-related footage, adding a preview of my TOP-NOTCH TONE CLASS! It was a dress-rehearsal for the “LIVE” event coming soon. A POWHOW adventure to be continued….